Product Details: Black plastic box with see-through flip-top lid. 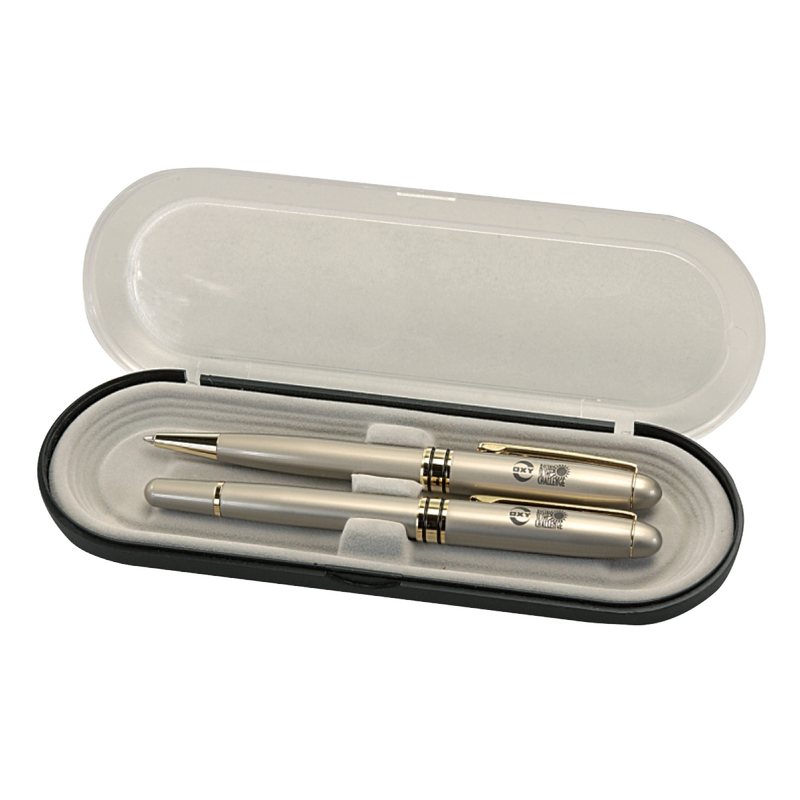 Holds 2 pen(s), pencil(s), or letter opener(s). Paper sleeve included. Pricing includes pen installation if ordered together. Pricing includes no imprint. For imprinting on gift box, please add 0.40/r and additional setup. Item Size: 1" x 2 1/2" x 7 3/8"
Carton Dimensions: 17" x 14" x 11"